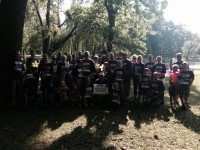 GSM Industrial and GSM Roofing formed a team, GSM Memory Marchers, for the 2014 Walk to End Alzheimers. The following is pulled from the webpage for the GSM Memory Marchers and pretty well sums up the feelings of the team. Since this disease has become personal for the Gooding companies, GSM Industrial and GSM Roofing, the group wanted to really hit the disease hard with donations toward it’s cure. And hit it hard they did! The GSM Memory Marchers came in first place in Lancaster County, in the state of Pennsylvania and placed 11th in the entire nation with donations totaling $32,060! This team will continue to support the Alzheimer’s Association in honor of Mary Gooding.